In Santa Fe, New Mexico there is a beautiful intentional community called Commons on the Alemeda which has been there for 16 years and welcomes any visitors. The community is composed of 28 homes sitting on 5 acres of land with cars parked in the outside circumference. There is around 70 people and at least 15 of those people young children. As a member of the community you are a co-owner of common areas and have limited ownerships of structures which are mostly stucco and adobe in style with each unit renting for $55. Wow, can you imagine paying only $55 a month in rent for your own space? Twice weekly they come together and share meals and switch turns on who cooks and who cleans, each person has one kitchen shift per week. They have a small organic orchard with peaches, apricots, and apples for anyone to partake and a small community garden which is expanding. Together they work on projects to support river restoration and community clean up campaigns with no expectations only on a volunteer basis. From my experience of speaking with a member who has been there for 14 years the community appears more like a big extended family where resources, materials, and lives are shared together. With rent being so cheap one can have all their basic needs taken care of a person has the ability to thrive and not just survive. As you are traveling around our world as a vagabond there will be days when you crave a warm bath or shower, a snuggly bed, and a clean toilet. 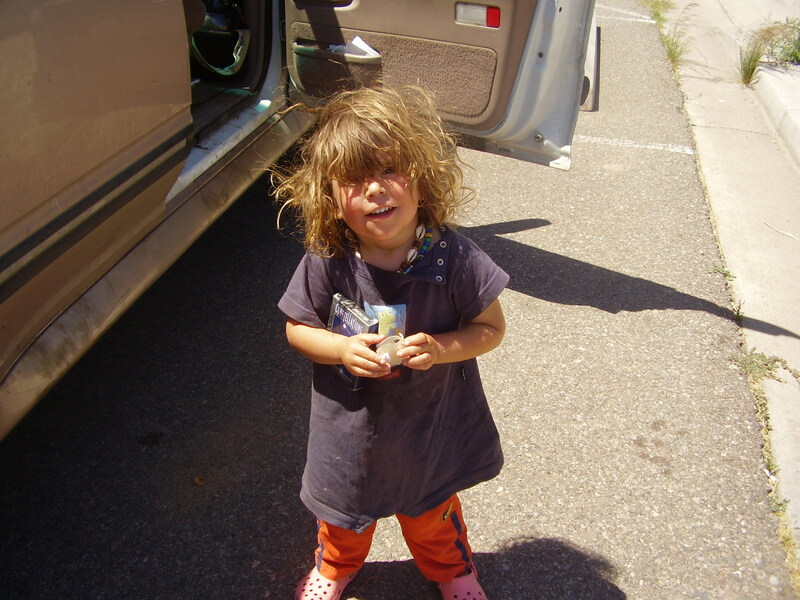 In my experience as a traveling mama with little to no money I have learned to use our money sparingly and usually for fuel and food, though I have found ways to get around these as well. As for sleeping, there are several ways to sleep for free and free loading sites have become one of my best friends. You can register with the sites below, for free, and fill out your profile information, upload photos, and say a little about yourself so hosts will get an idea of who you are and eagerly look forward to having you stay in their homes. Then start searching for profiles of people in the areas you will be traveling through who are offering their homes to travelers. Each one is unique as each living situation is unique so you may stay for one night or one week and with a story to tell each time. I have found this to be a great opportunity to meet local people and experience the area in a non-touristy way and sometimes you even allow your hosts to see their community in a whole new perspective. The original site for hosts around our world offering their homes to travelers. To register with this site you must also have a place to offer. Give and take site. I was able to register by offering an extra bed in my R.V. in areas I will be parked. So I arrived safe and sound with my rideshare from craigslist. I had a wonderful experience driving to Arizona from Texas with my new friend Joe and look forward to staying in touch with him. I love rideshare! Our Thanksgiving day was exhilerating with 19 family and friends sharing stories and opinions. I am the only raw foodist in our group, not sure if anyone actually knew what I meant when I said “I only eat raw foods now,” since they kept trying to take me out to eat and feed me lots of really cooked food. I stuck to it and was not even influenced a tiny bit. I created for myself and others a mushroom and spinach salad and a sunflower veggie dip and drank Chocolate Biss all day and had a raw cashew cookie for dessert.YUM! It was a very interesting experience and I now feel I have a better insight into who my family members are as individuals. I have always been the odd ball out and done things very differently from others, so I outcome mapped exactly how I desired my experience this Thanksgiving to go and it was beautiful and insightful. I am thankful for my ability to create my own world exactly as I choose it to be. I am thankful for surprises. I am thankful for my love in my heart. I am thankful for living on my physical plane and having my individual experience. I am thankful for my wealth. I am thankful for my concious awareness. I am thankful for my experience of conscious language. I am thankful for Raw Superfoods. I am thankful for my divine partner. I am thankful for my $5,000 which is helping me create my ecotravelers project. I am thankful for my R.V which always get me where I choose to be. I am thankful Zarek and I are always abundantly taken care of by our universe. One of my favorite ways to travel is by ride share. We are in Fort worth, Tx now and will be leaving for Arizona on the 23rd of November for a family Thanksgiving gathering with a ride I found on Craigslist. I always ask my potential ride if they have a myspace page or could tell me a little info and send a pic. I’m going to be traveling long distances with someone and I choose to be compatible and safe with my four year old. It is a win win situation since you both share gas, take turns driving, and have company along the way plus you are being eco friendly by car pooling. Awesome! www.craigslist.com Google craigslist with the city you are in and you can post where you are desiring to go or just keep checking other people’s posts of rides they are offering. www.erideshare.com You have to register and keep logging in to check if anything is available. Or you can hitch hike, many of my friends have done it across our world and have interesting stories and have met some great people traveling this way. Another way is by bus. The grey hound bus is usually inexpensive and can get you into most cities around our country and even to small towns. Or you could get your own bio deisel bus and pick up hitchhikers along your way. This is usually my way of traveling and I always post to craigslist when leaving out of cities and will be doing so when I return to Texas in my new old R.V. 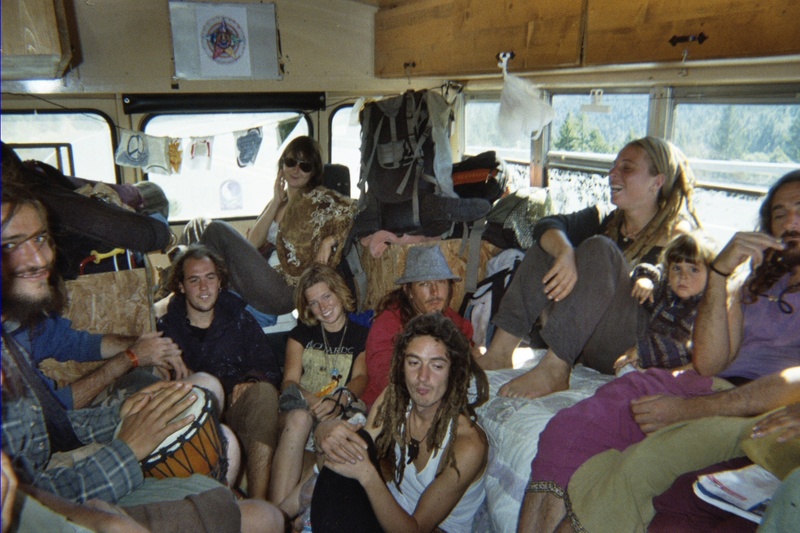 My favorite rideshare experience was in my purple bus leaving an Earthdance festival in which I fit 18 people from 7 different countires in my 20 ft bus. My bus would only go 25 miles mph up northern California’s windy roads and we stopped continuously for bathroom breaks and ended up camping in a redwood forest before reaching our destination in Arcata. It was wonderful! Today, I had a extraordinary experience! I had gone to goodwill for a 50% sale and ended up locking the keys in the truck of my mother’s car which I was borrowing while she was at work. I realized soon after I had also forgotten my cell phone at her apartment. It was a beautiful sunny day so Zarek and I decided to walk back to her apartment since I at least had the key to open her door and it was only a couple of miles. Well, of course, my four year old grew very tired of walking so I looked around a saw a police car. Great, I bet he will help us out! I told the officer my dilema and he said the only thing he could do was bust out my window or call a tow truck which would cost me at least $45 or more to unlock the doors. Umm, no thank you. I asked him if he could give us a ride up the road to my mom’s apartment since my young one was tired of walking and it was only a couple of miles away. He told me no it was not in his jurisdiction. Ugh, Ok. I asked if he could just give us a ride to the next big intersection which was less than a mile away. No, it is not in my jurisdiction. Ok, so we left. What are cops good for anyways? Does anyone know? Well we continued walking up the side road beside the highway and Zarek was whining so we stopped and I realized I was going to require some help. I stuck out my thumb. I have never hitch hiked before so I was very nervous and every time a car started coming I put my thumb back down. Finally, I decided to ask my angels for help. “Angels, please send us a ride to my mom’s apartment which is safe for me and my son, thank you,” I prayed. (It is my belief I have at least three or more angels with me always and Zarek has at least three so together we are covered.) The moment after I prayed and looked up a truck pulled over and a very friendly man asked if I could use a ride. Wow, talk about instantaneous! “Yes, thank you,” I said and told him our story. He took us to my mom’s and offered a ride back to our car if I had an extra key. I told him we did not and would be able to pick it up after my mother got off work since she had the spare. He gave me his card and said if I ever needed anything to give him a call. Wow. My angels sent me an angel. Thank you universe! Unschooling is a way of life which is rooted in freedom of choice, natural learning, unconditional love, respect, connection, and finding ways to always say “YES”. We all have a natural born curiousity about our world around us and we all learn in different ways. Some require structure while others require the freedom to daydream and paint. Unschooling allows the child to learn what they want to learn when and how they choose to learn it. There is no curriculum unless the child chooses one. When they are ready to read then they will read whether it be at 2 or 9 years of age, there is never any have to’s in unschooling unless the child decides there are. My son, now age 4,chooses his bedtime, what he wants to eat, when he will bathe, what he wears, and what he wants to do every day. For example, now his passion is transformers, he plays with them, makes them out of legos, draws them, watches them on T.V, and we read a comic book nightly about them. He is obsessed! Which is the exact way I am about my ecotravelers project now. It is my belief that by following your heart and doing only what we desire to do in every moment we are aligned with our divine purpose. He will find out much more about his self and his abilities by doing what he chooses instead of me controlling him and telling him what to do and how to think. I love finding ways to say yes! YES! YES! By saying yes to Zarek, I am finding ways to say yes to myself. We love attending an unschooling conference yearly in Dallas, tx called Rethinking Education, www.rethinkingeducation.com, there are so many freedom loving parents, awesome out of the box workshops, and funtastic activities for kids of all ages we barely sleep during our 5 day stay! www.holtgws.com Holt’s Growing Without Schooling Website with questions and answers. www.johntaylorgatto.com I was able to hear John Gatto speak last year at the Rethinking Education conference and it was life transforming and opened my eyes even wider for myself and my mother! I live on raw superfoods daily and highly recommend them to anyone wishing high energy and clarity. I went all raw to keep up with my very energetic four year old and have enough energy to “play” with my own projects. From what I understand the superfoods work on several levels of our body and raise our body’s vibration and actually help us reverse cancer, diabetes, and our aging process. I drink a super raw drink daily called Chocolate Bliss which contains Mayan Gold Cacao Powder, Hemp seeds, Coconut Flour, Maca, MSM, Carob, Tocotrienols, camu camu berries, acerola berries, amia berries, blueberries, cherry, rasberry, cranberry, manioc root, buckwheat berry sprouts, rose hips fruit, psyllium seed powder, bioperine, Rhodiola Rosea, and sun fire salt and I add another combination called Rainforest Rush to it which contains, spirulina, maca, guarana, yerba mate, wheat berry sprouts, alfalfa sprouts, and some other green goodness and sweeten this potent combination with raw vanilla agave or raw unfiltered honey! Oh yes, it is yummy! David Wolfe unleashed and rawking! Personally, I order my superfoods online at www.loving-foods.com, the products here are shipped with no expedients, radiation, and organic and pristine in quality. The owners are very knowledgable and will happily answer any questions. My favorite site for recipes, resources, and events is www.rawfoods.com. www.annwigmore.org in Puerto Rico is a retreat where you can learn how to create your own raw foods and become a raw food chef while detoxing and cleansing your body in the process. 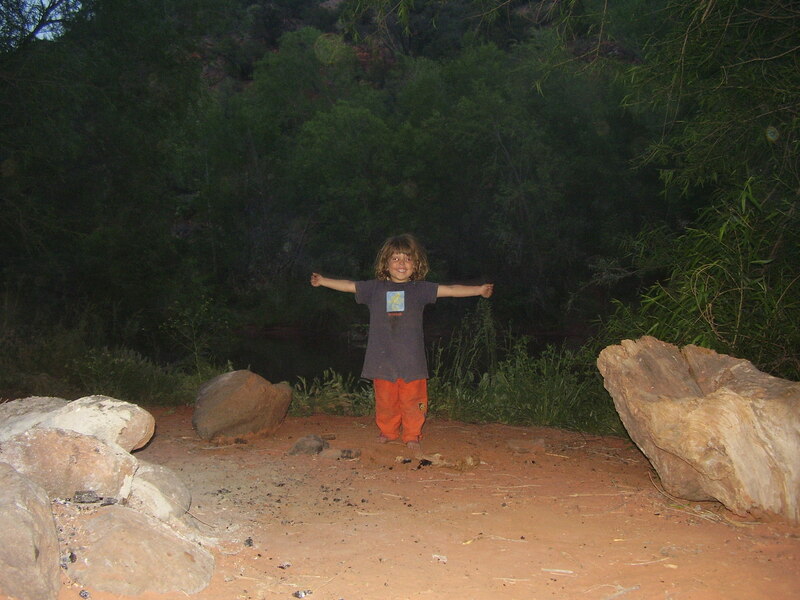 www.treeoflife.nu is a raw food retreat and spiritual rejuvenation center in Pantagonia, AZ which offers sweat lodges, yoga, kabbalah, conscious eating workshops, spiritual nutrition and various workshops on health and cancer treatment. The founder Gabriel Cousens is a world renowned author and authority on holistic healing.